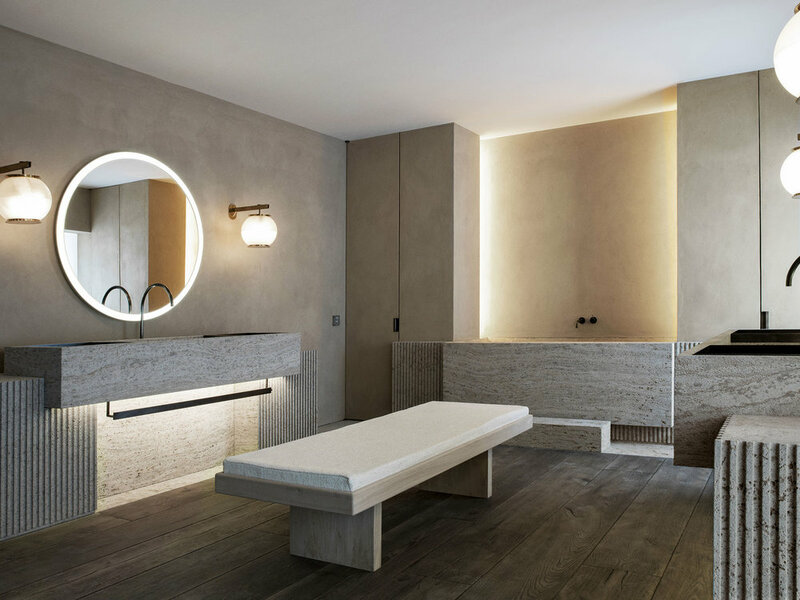 Located in Paris, France, The Bath Salon is a minimalist interior space designed by Nicolas Schuybroek Architects. Working with materials and textures is a skill in itself and this is on show with Nicolas Schuybroek’s use of patinated bronze, distressed oak, raw plaster finishes and grey travertine. The mixture of materials have worked wonderfully with the soft light that works within the space. The use of Art déco references, oversized mirrors, bold lines and recessed elements such as the bathtub create a wonderfully playful, yet elegant environment.